It’s dropped on the daily basis: Abortion should be legal except in cases where the life of the mother is threatened by the pregnancy. But should it? Politicians who do not affirm the legitimacy of abortion under these circumstances are written off as straight-up lunatics. Who could be so callous, opponents ask, as to deny life to a pregnant woman whose life is threatened by her pregnancy? The truth is, there is one massive misconception about the “life of the mother” exception. That is the belief that abortion is sometimes necessary to save the life of the mother. This is not an abortion. Furthermore, a true abortion – in which the direct intention is to end the life of a human being – is not a treatment for any type of maternal health risk. The death of a baby never saves his or her mother; procedures that may lead to a child’s death save the life of the mother. “You shall not murder a child by abortion nor kill one who has been born.” The Didache [The Teaching Of The Twelve Apostles] c. 80-140 A.D.
NO ONE CAN FORCE YOU TO ABORT YOUR BABY. No matter how old you are. Even if you are a minor. You have a legal right to have your baby. View & print out this PDF form and sign it. Fax it to the clinic or abortionist where you are being taken to have an abortion. If you can’t fax it, then print it out, sign it and bring it with you and hand it to the receptionist at the abortion clinic. If you do not have a printer, then HAND WRITE this out as best you can and sign it and bring it with you so you can hand it to the receptionist. This is a legal document. Hand written, it will not be perfect but do not worry. The abortionist will not want to get involved. He or she will know you are serious about not wanting an abortion. DO NOT SIGN any of their papers. Refuse to take off your clothes. Do not get up on the table. Just keep refusing to do anything they ask you to do and tell them you want to have your baby. Even if you do not have this document. You have now read it and you know your rights. YOU CANNOT BE FORCED INTO AN ABORTION BY ANYONE!!! Senator Walsh quoted the testimony that former abortionist Dr. Anthony Levatino gave to the U.S. House of Representatives before that chamber passed a ban on pregnancy at 20 weeks. Over the 20 years of doing my prolife work, rarely have I seen a piece of literature affect a woman contemplating an abortion as much as an article called “Diary of a Preborn”, written by Pastor Craig in response to a two week Prolife Seminar he ran for youth. After having this article posted on our site for several years, we have now produced it into a beautiful piece of work that can be viewed using a Flash movie viewer. We encourage you to share this work with others. God bless you and strengthen you for all you do to help His innocent preborn children who sleep within their mothers’ womb. “A woman who deliberately destroys a fetus is answerable for murder. And any fine distinction as to its being completely formed or unformed is not admissible amongst us.” St. Basil the Great, “Epistle 138,” c. 375 A.D.
A suction aspiration type of abortion is very common in the first trimester. The mother’s cervix is dilated so that a cannula, a hollow plastic tube, can be inserted into the uterus. It is connected to a vacuum pump. This vacuum suction is 29 times more powerful than a household vacuum cleaner, as mentioned in the LifeNews article. And as Priests for Life mentions, ”[t]he abortionist runs the tip of the cannula along the surface of the uterus causing the baby to be dislodged and sucked into the tube – either whole or in pieces.” The amniotic fluid, placenta, and other body parts are then also sucked out and collected in a jar. After 16 weeks, a needle full of a salt solution is injected through the mother’s abdomen so as to reach the baby’s sac. The baby is not merely poisoned when he swallows the solution; rather, hisouter layer of skin is also burned off. The baby will also not die right away, as it usually takesover an hour for him to die. The mother usually gives birth to a dead or dying baby before 24 hours later. 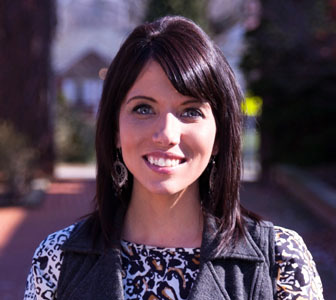 An abortion – and particularly a surgical abortion – is much more than just a procedure. The websitefor American Pregnancy is very vague on abortion procedures, though, including only a sentence or two, and with no such description as these pro-life websites include. Vacuum Aspiration or Sharp Curettage (D&C): (6 to 16 wks) powerful suction tube inserted through the cervix and into the uterus. The fetal body parts and placenta are sucked into a jar, the unborn child often torn apart by the force of the suction. Possible complications include infection, cervical laceration and uterine perforation. Mifepristone: (5 to 7 wks) is also known as RU-486 or the “Abortion Pill.” This chemical causes an abortion by interfering with the function of the placenta, starving the unborn child to death. Prostaglandins (misoprostol, see below) are then administered to expel the fetus. This method of abortion takes place over the span of several days; the average woman using it bleeds heavily for more than nine days, but some women have bled for over four weeks. Because mifepristone is a new method, long term health risks are not yet known. Methotrexate: (5 to 9 wks) though not approved by the FDA for this use, a methotrexate injection kills the unborn child by interfering with the growth process (cell division). Several days later, the woman is treated with prostaglandin (misoprostol) suppositories to expel the fetus; woman aborts at home. Requires three visits to a doctor to complete process. Dilation & Evacuation (D&E): (13 to 20+ wks) the cervix is pried open. 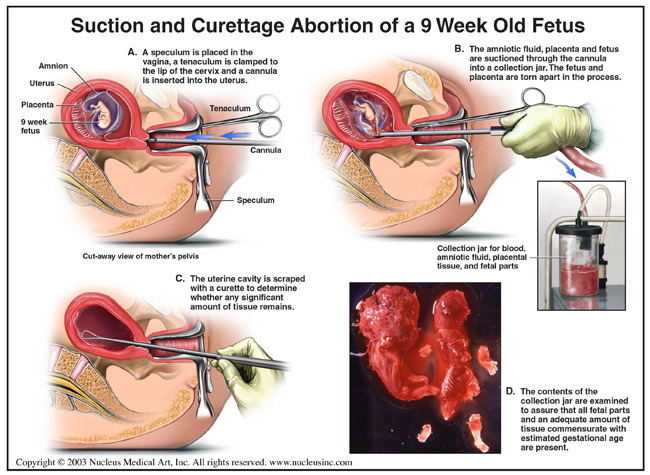 Using forceps, the abortionist tears the child out of the womb, limb by limb. 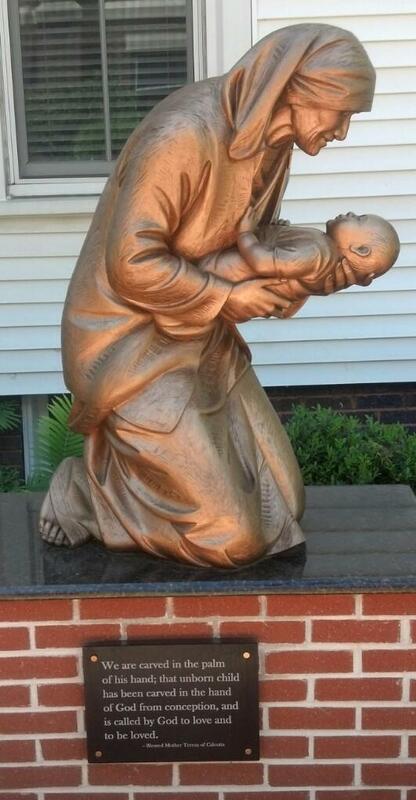 The child is then reassembled to assure that no fetal parts are left inside. Possible complications include infection, cervical laceration and uterine perforation. Prostaglandin: (16 to 38 wks) also called misoprostol, this chemical which induces premature labor, is given as suppositories or an injection; live births are common. Hazards include convulsions, vomiting, and cardiac arrest. Digoxin Induction: (20 to 32 wks) involves injecting a lethal chemical directly into the baby’s heart followed by labor induction with prostaglandin. Saline Abortion: (16 to 32+ wks) a long needle is inserted into the woman’s abdomen, and a salty solution is injected into the amnionic fluid. The salt poisons the child, burning its lungs and skin. A dead baby is then delivered within 24 hours. This method is rarely used any more due to the serious health risks to the woman. Hysterotomy: an unborn child (24 to 38 wks) like a c-section, an incision is made in the woman’s abdomen. The baby is removed, then allowed to die by neglect. This procedure carries the same health risks as a c-section. 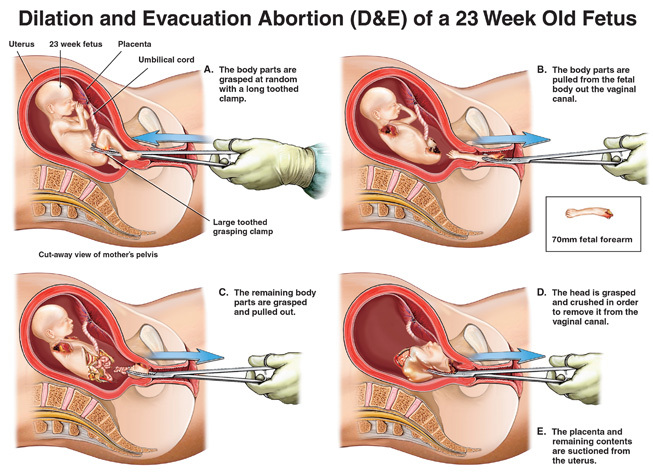 D&X: (20 to 32+ wks) also known as “partial-birth abortion” this dangerous method of late abortion, termed “bad medicine” by the American Medical Association, involves pulling the baby out feet first into the birth canal while the head remains in the uterus. The abortionist then makes a hole in the back of the skull to remove the brains with a suction catheter. The head collapses, allowing the child to be removed in one piece. 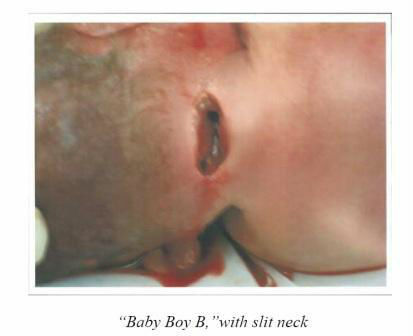 The employees used their cell phones to capture images of two of the babies which Dr. Douglas Karpen killed in Texas. These photographs have been posted online and can be viewed at the link below. Be aware that these images are extremely graphic and disturbing; viewer discretion is strongly advised. See the graphic photos here.